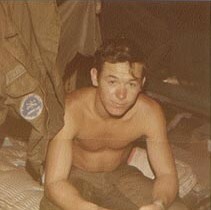 WO Larry B. Edeal (Cavalier'23') relaxing in the posh pilots suite in Tay Ninh Feb.'71. 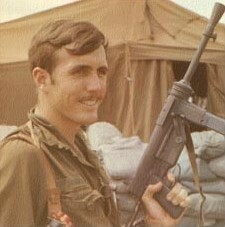 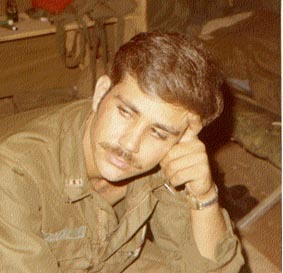 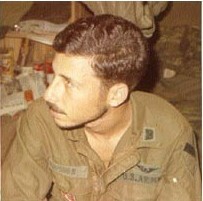 WO Randy R. Zahn (Cavalier '24') during his Elvis phase in Tay Ninh '71. 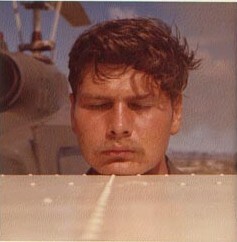 I guess when they told this snake driver he was cleared to 'rock & roll' he thought he'd take on the personna of the 'king'. 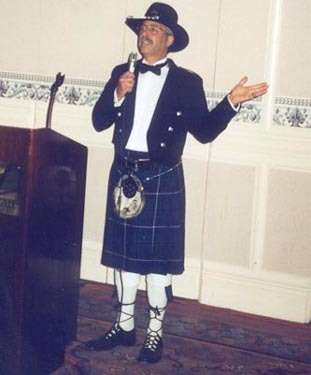 On the right at the '99 reunion Randy takes on the personna of...ah, Braveheart doing a rendition of 'Love me Tender'?